Hi M&M community, I want to share my work in progress from its earliest roots. 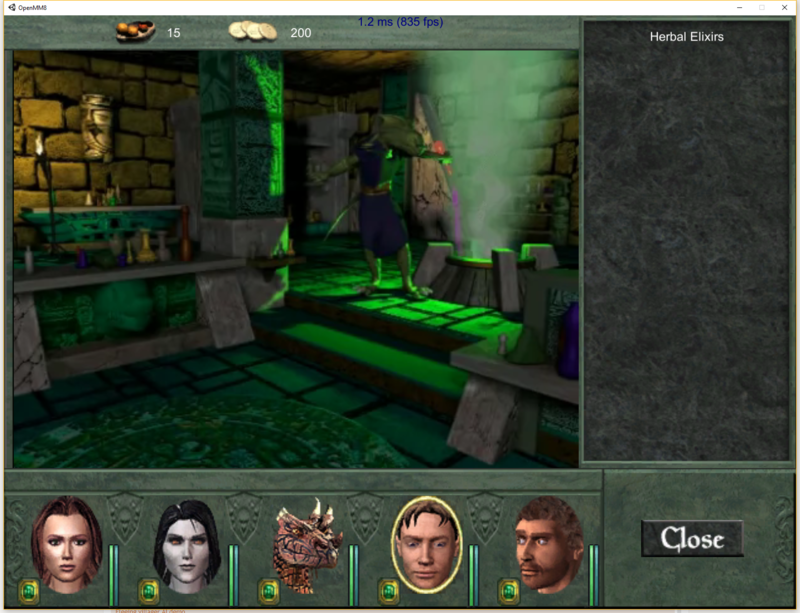 I am reimplementing Might & Magic 8 from scratch using Unity. Some of you are surely saying: "Hey, look, here is another guy thinking he can reimplement a game from M&M 6-8 series, meh, he will give up eventually like all others before him". Last edited by pjasicek on Dec 19 2017, 20:58, edited 3 times in total. 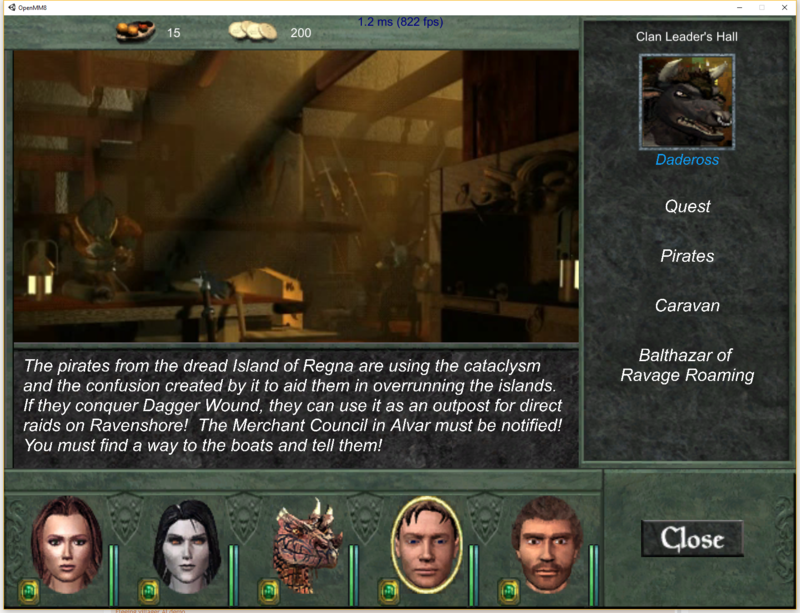 Interesting, taken a look at Daggerfall Unity at all for inspiration? 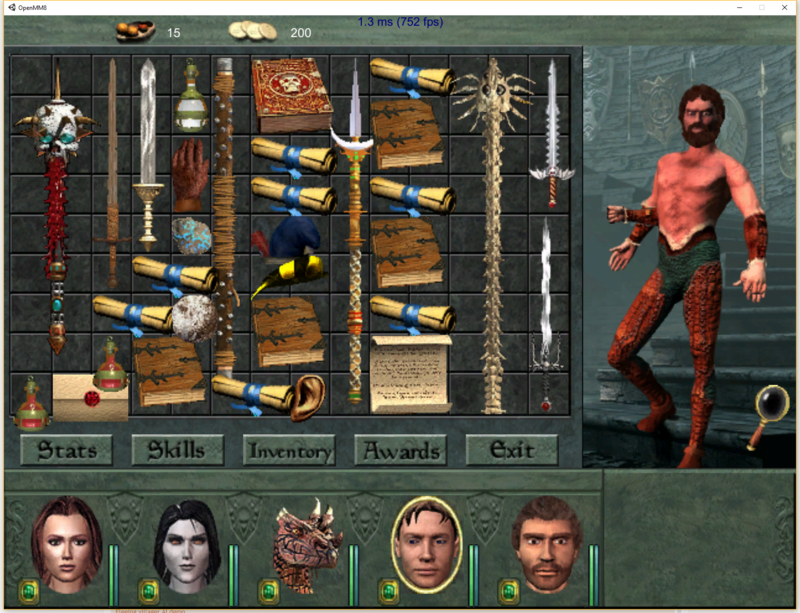 Sslaxx wrote: Interesting, taken a look at Daggerfall Unity at all for inspiration? I have not, I'll be sure to check that out, thanks. Vinevi wrote: Is there any way to contribute to the project? * Most of gameplay features - coding whole player party handling, spell casting, attacking, health/mana system, item/inventory system, stat system, quest system, time of day system, etc. etc. etc. @pjasicek This project sounds absolute awesome! I have little photoshop knowledge. If that could help you in any way, I'll be glad to contribute. equs wrote: @pjasicek This project sounds absolute awesome! I have little photoshop knowledge. If that could help you in any way, I'll be glad to contribute. Thanks for your interest ! I was toying with the idea of making the OpenMM8 in "pseudo-HD" mode - taking all existing textures and rescaling them using some high-pass filter to get a better look. But I think I will postpone this one until I have gameplay foundation already in place. 2) Guard - Friendly to player until damaged by player. When damaged by player, Guard acts in the same way as Enemy. If left untouched and friendly, he will patrol within his predefined area. 3) Villager - Friendly to player. When damaged by player or if nearby friendly villager / guard is damaged by player, he flees from player, he does not attempt to retaliate. If left untouched and friendly, he just patrols within his predefined area and if player comes near him, he will stop and look at player. Sorry for the long period of inactivity. In the past 6 months there has been a huge amount of progress, nevertheless, there is sooo much more work to do. - Working house loop videos with sound - I had to convert original smacker format to .OGV format with a bit of lower quality. Unity does not handle looping videos very well out of the box. - Adoption of original game's data tables - for items, quests, houses, npcs, etc. Impressive. I'm glad to see you're continuing to work on it. Excellent work. Do you need help from a non-programmer? I know well .txt files in original MM. Bandobras Took wrote: Impressive. I'm glad to see you're continuing to work on it. kristal wrote: Excellent work. Do you need help from a non-programmer? I know well .txt files in original MM. Congratulations for the great work, I believe there was really a lot to do to get to this point. Still I know MMEditor and could would fill in locations. Hey really great progress you got here! I'm a programmer myself and am checking the code out now. I can definitely help with something like this. With a certain code base you could really make some new adventures and such. Really cool. Last edited by Neecko on Aug 6 2018, 3:56, edited 1 time in total. Neecko wrote: Hey really great progress you got here! I'm a programmer myself and am checking the code out now. I can definitely help with something like this. With a certain code base you could really make some new adventures and such. Really cool.